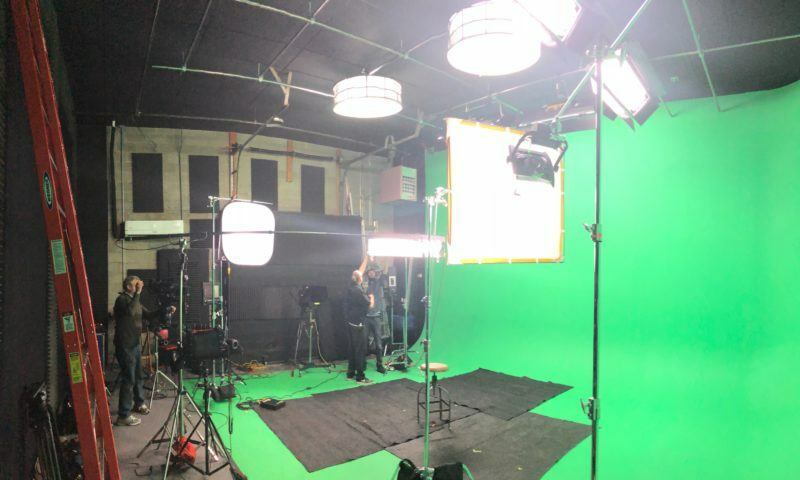 FME Studios owns and operates a recently upgraded green screen studio and state-of-the-art post production facility in Indianapolis, IN. The studio features a 25' x 20' x 16' cyc wall and includes a lighting grid with daylight balanced fluorescent fixtures on DMX control and space lights. The studio is designed with sound recording in mind and is treated with premium acoustic ceiling tiles, duvetyne, carpeting and sound deadening panels. Our studio accommodates both large and small scope productions nicely. From shooting broadcast commercials to corporate presentations; FME is the place to shoot.